Our Specialist Orthodontist Dr Vasileios Charalampakis provides a comprehensive specialist orthodontic service including clear aligners such as Invisalign, Incognito lingual braces, traditional fixed braces using metal and tooth coloured brackets. 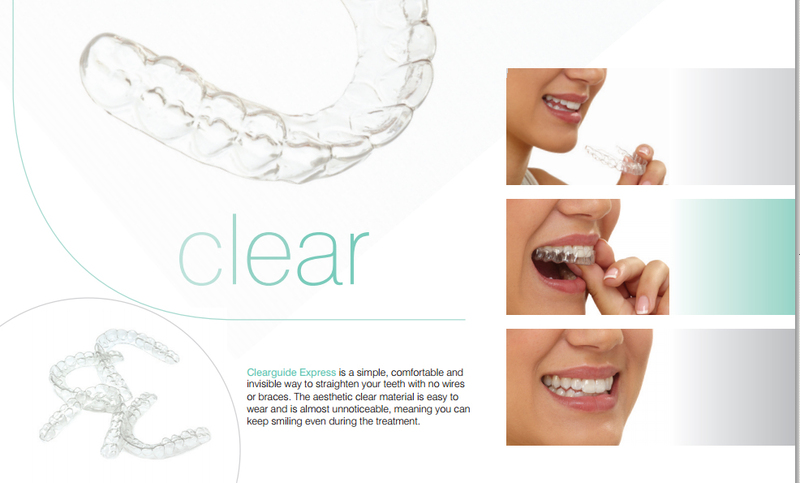 The ClearGuideTM tooth straightening system / Clearguide Express is a simple, comfortable and invisible way to straighten your teeth with no wires or braces. The aesthetic clear material is easy to wear and is almost unnoticeable, meaning you can keep smiling even during the treatment. prescribed position and your new smile. Ask us about tooth straightening options and book your consultation with our specialist orthodontist Dr Vasileios Charalampakis to find out your suitability for tooth straightening.